Uncategories Meet the company that’s changing the way fans interact with musicians. Meet the company that’s changing the way fans interact with musicians. There's been a pretty major shift recently in the ways artists market their music online. Since the rise of social media networks, the artists have turned their attention to building their fan base on rented land, but we're witnessing a massive shift in the way people communicate with one another and the way fans communicate with artists. Akin to the shift twenty years ago from phone to email, and ten years ago from desktops to mobile, today fans are moving to messaging platforms. This shift creates an enormous opportunity for artists attempting to identify, understand, and engage fans. In 2017 social networks started rolling out changes to their algorithms to show more posts from friends on the feeds. This move made it harder for artists and brands to reach their audience without having to pay for boosted posts. This inability to reach the fans is frustrating, to say the least, for artists who have spent significant time and money building their audience on these networks. And it’s disappointing for fans who expect to be able to stay in contact with their favorite artists. That’s why the shift to messaging platforms provides such an opportunity. If artists can connect with fans on one-to-one messaging, then their reach with news and messages is not limited. Fans receive the intended message, which is not the case with a broad social post. Moreover, research shows that fans are more likely to open messages sent via messaging platforms where they are already active than they are to open emails. Based on reported figures, Facebook Messenger alone serves more than 1.3 billion monthly users--right around the number of people using Instagram, Twitter and Snapchat combined. But artists don't have an easy way to build their presences on the app. Recently there's been a slew of companies that are building tools for brands to launch their Messenger profile but only one that is focusing on creators. 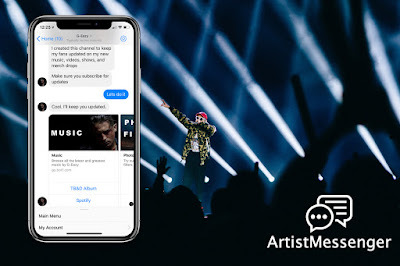 Stashimi is the latest company that has unveiled their Artist Messenger platform which helps artists and entertainment brands connect with and monetize their audience on messenger platforms and smart speakers. For the past eight months, Stashimi has been working with artists like G-Eazy, Zedd, Alina Baraz, Andrew WK, Blake Shelton, and their record labels and managers to run tests and optimize their toolsets. 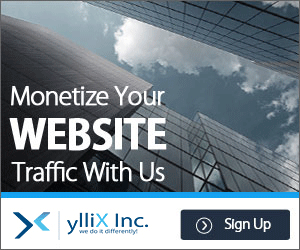 “We want to make sure that our platform is powerful enough to create value but simple enough to use for those without a technical background in coding. We also want to be sure it is equally effective for established and emerging artists,” says CMO Kosta Elchev. Earlier this year G-Eazy and Zedd both used Artist Messenger around their music releases to drive people into Spotify and dramatically increased their playlisting and streaming numbers. They’ve both also integrated their Shopify merch store into their Messenger channels which allows users to browse and buy their merch. Stashimi has reported that their platform leads to engagement rates from 25-60% on artist content with almost 90% opt-in rates for push-notifications. These metrics compare favorably to current industry-average engagement rates on social networks of less than 1% on non-paid social posts and email click-through rates of 2.85 percent. In a nutshell: if you are an artist, you need far fewer fans connected on Messenger than you would need to have following you on social media or subscribed to an email list, to get the same level of engagement. In concrete terms, what Stashimi data shows, based on pilots with current artist clients, is that an artist with two million social followers will get more individual click-throughs to content from a push-notification to 20,000 Messenger subscribers than from a non-paid post to two million social followers. When this data are combined with the live-show activations Stashimi clients are using to connect with fans at venues, then the power of the tool comes into even more precise focus. Engagement is just the beginning. Using the conversational interface provided by messaging platforms, artists can guide fans to transactions -- streams, views, tickets, merch. Imagine if you're an artist who has 500,000 to 1,000,000 social followers and now you can reliably and effectively reach 60% of them. You could start a movement. And why shouldn't artists you be able to reach all their your fans? They're your fans, you've built that following and nothing should stop you from being able to connect with every single one of them. Outside of messaging apps, Stashimi is also working with select artists on building the first ever-artist Skills for Alexa (The Echo by Amazon), allowing fans to find relevant news, listen to music, purchase tickets and merch, or play games with the artist's content. “We believe that voice is the next frontier for artists connecting with their fans. What's more important than the artist's voice? If you're an artist manager or working with any sort of entertainment brand, smart messaging assistants, and voice-activated smart-speaker applications can be a valuable way to connect and communicate with your audience,” commented Stashimi CEO Juergen Kurz.